Bella! Bellissima! 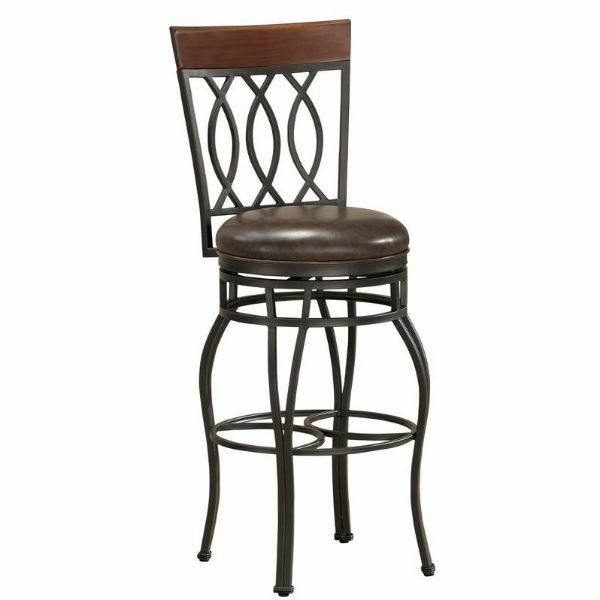 The Bella Bourbon Bar Stool by American Heritage has earned its name. This attractive metal stool has a trio of charmingly curved treatments that form the high back and is topped off with a tasteful wood accent. The elegant legs bow out from the cushy 3” padded and upholstered seat. 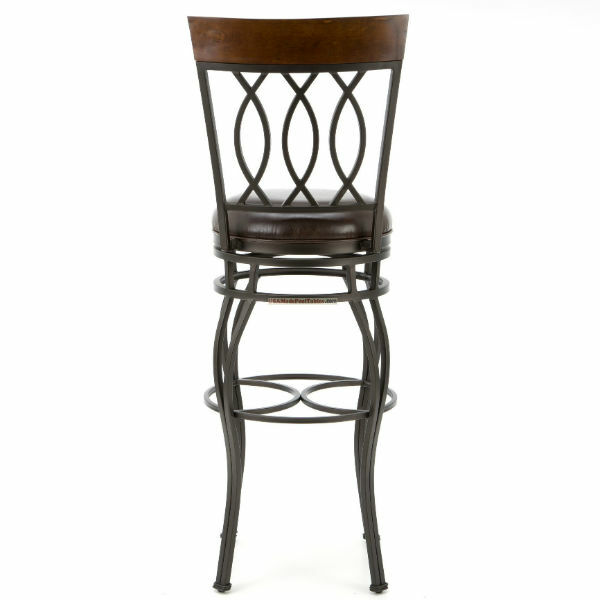 The Bella Bar Stool comes in a popular pepper finish with a coordinating bourbon cushion. Leg levelers and a 360 degree swivel feature make the Bella Barstool as functional as it is beautiful.